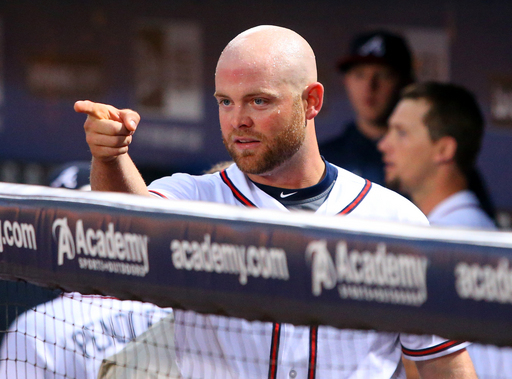 Brian McCann Signing Proves The Yankees Are Not Thinking About A Rebuild: Try A Reload! The near 30 Year old McCann has clubbed 20+ HRs in 7 of his 8 seasons, including smacking 20 in 2013 – in just 356 AB. His Career 3 Slash is .277/.350/.823. McCann could also be used as a DH by the team to maximize his AB. 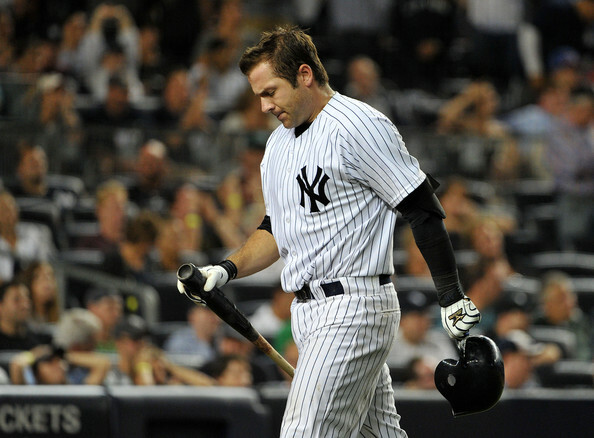 McCann will be the best offensive Catcher in the Bronx since the days of Jorge Posada. Each one of the Yankees dynasty’s at World Series Titles have had great Catchers. New York has set themselves up nicely for the 2014 year. They must now wait on the Alex Rodriguez hearing before they can set how much money they can spend next campaign. For those people who thought the Yankees were going to begin a rebuild project in the Bronx, forget about it. The Yankees will still try to come under the $189 Luxury Tax Threshold, but that doesn’t mean they wont finagle around it with the Free Agents they bring in for next year. Brian McCann was just the 1st strike. Count on them bringing back Robinson Cano, and at least 2 Starting Pitchers. Austin Romine’s bat has been far behind the rest of his development at the position. With the signing of McCann, this may actually solidify his position to be the #2 Catcher. Romine, who just turned 25 two days ago, actually hit for a second half 3 Slash Line of .273/.343/.750 in 68 AB. If he can keep that kind of production up, the team may very well elect to DH McCann a little more often. The New York Yankees have seen several of their Catchers of their history lead their teams to championships. From Bill Dickey, to Yogi Berra, to Thurman Munson and Jorge Posada, the Bronx Bombers always seem to be a brute force, when they have one of the game’s better backstoppers. McCann’s Left Handed bat presence will seek the Right Field bleachers at a regular clip. At age 29, this deal makes a lot of sense. If the team can receive three Catching years from the former Brave, they should have the heir apparent waiting in Gary Sanchez anyway. A move to 1B or DH role may be in the cards for him as well. Mark Teixeira is signed through the 2016 season, however his production has dropped off drastically in recent years. McCann could be there by 2017. The club could also have McCann as a DH permanently, as Derek Jeter will be retired, and I doubt that Alex Rodriguez will still be playing baseball by then. Yes the Yankees are all old, but if they can resign Robinson Cano, they can build the club around the 2B and Catcher positions. I was pretty surprised that Texas didn’t pose much of a challenge for McCann’s services, as there isn’t many options left for a Starting Catcher. The Rangers should probably go ahead and resign A.J. Pierzynski. The Yankees will be back to business as usual in 2015 for Team Salary, as such, any holes that are glaring next winter, could be filled for the following campaign. There is no doubt in my mind McCann will have at least 3 productive years behind the plate. As an average to an above average defender, and good game caller, this should also benefit the pitching staff, and in particular, if they have to use more young pitchers in 2014. $15 MIL per year is not that bad considering what some of the other Free Agents will go for this winter. The Yankees will have a great defensive option in Austin Romine late in games. We are seeing a trend of what could take place with Brendan Ryan inking a deal prior to McCann. New York’s bench will also feature Vernon Wells, who was able to drive in 50 RBI. McCann could also see some AB as DH in the American League. The Yankees have been talking to Raul Ibanez for a return for the 2014 year. I like this move too. Ibanez hits against RHP very well, and you could see him platoon at DH with Wells, Jeter and potentially even move to the OF. With the ability to rest in that position, McCann should be able to maximize his At-Bats. it was a wise decision for the man originally from Athens, GA. If McCann would have gone to Texas, he would have a tough time playing all the time in the Texas heat. 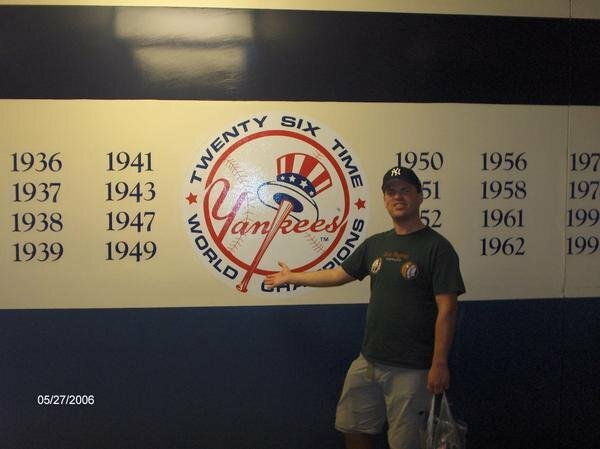 If the man wins a World Series with the Yankees, just think of the historical significance with the rest of the Catcher that have played there before him. With the Yankees waiting on the A-ROD verdict to see what kind of money they have left for the budget, I really think that Brian Cashman has got to be working overtime right now. If the Yanks are unable to sign Cano, the team will need to have a plan B.
I have said all along – why don’t you sign Mark Reynolds for coverage on the 1B and 3B? The good news is they addressed a problem that plagued them all 2013 season, and they brought in the best offensive Catcher they have had since Posada began to slow down about 6 or 7 years ago. 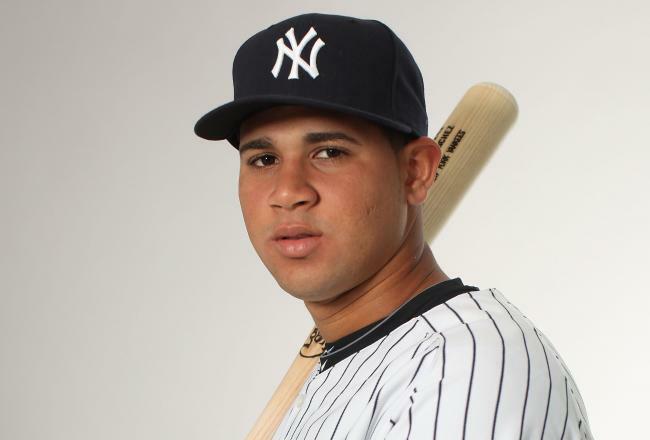 Sanchez is the Yankees’ top Catching prospect going into 2014. He is a rare athlete with a plus power bat, who has committed himself to the craft of being a catcher. Yankees’ fans will hope that Sanchez can one day add his name to a long list of Yankee legends behind the dish which includes Dickey, Berra, Munson, Posada and now potentially Brian McCann. For now, he will be allowed to season more in the Minor Leagues with the position being adequately filled at the MLB level. Posted on November 24, 2013, in Free Agency, The Rest: Everything Baseball and tagged @MLBreports on twitter, AL East, austin romine, bill dickey, Brendan Ryan, brian cashman, Brian McCann, derek jeter, gary sanchez, joe girardi, jorge posada, mark reynolds, mark teixeira, new york yankees, raul ibanez, texas rangers, thurman munson, vernon wells, yogi berra. Bookmark the permalink. Leave a comment.